Back pain is one of the most common heath related issues nowadays. Our hectic schedules contribute heavily to this. Strenuous work, heavy lifting or even bad sitting position may lead to backaches. Many people whether young or old suffer from this pain. Most occurring types of back pain are of the lower region. The main reason for higher cases of this pain is the fact the most of your body weight is supported by your lower back. Even a small thing like lifting a box may result in throwing out your back causing undue stress, strain and pain. Low back pain can severely restrict your movement in extreme cases. Acute pain can even give way chronic back pain as well, which can lead to many more problems. Low back pain can affect your performance at work too. Taking painkillers and doing certain back exercises can treat the pain in many cases. Though, it will be better to consult a pain clinic regarding the solution for your low back pain. Sudden movement, swift turning or a slip and fall may lead to back troubles. Since the lower back is used for movement and most kinds of lifting, it is under constant strain. This is the main reason for almost every aged person experiencing lower back pain. Due to being constantly under strain, our lower back suffers much wear and tear. There are many more reasons for occurrence of low back pain. For instance sitting in one position for a long time may result in low back pain as well. It can also be caused by an injury or accident. A variety of symptoms may accompany your pain in this area. The kind of pain you may feel will vary too, depending on the cause of the low back pain. In mild cases, you will find little trouble moving. In severe cases, you may be unable to move at all. This type of pain can also radiate down your hip and legs causing greater discomfort. Sore and aching muscles are also symptoms associated with this region of pain. There are various ways of dealing with low back pain. Some of which can be tried at home without having to consult a doctor. Try to rest for a day or two when the pain first occurs. Though bear in mind, resting more than necessary may lead to stiff joints. Stay mobile and do few exercises for your back. Exercising can not only help you with low back problems but also strengthen your back and supporting muscles. Fire and ice treatment can help here. Although there is no proof as to whether it is beneficial to low back problems but it can help with the pain. It will reduce the inflammation in the region and allow for better mobility. One can also try to alleviate pain through massage. In fact, massaging may be your best bet for chronic backaches. You can also visit a pain clinic for medication. Only prescribed medication should be taken. Take care of your back. Maintaining a good body mass goes a long way to helping your back. Use footwear which is good for your feet. Right posture is very important for keeping low back pains away. Try not to strain your back much and do not lift objects beyond your ability to lift. It is best to take a few precautions than trying to cure a backache later. Certain circumstances may still cause low back pain to you. Try a few painkillers, exercises or a message to treat your backache. Visit a pain clinic if nothing else helps. Are you based in Houston? For many people throughout the world, acne is a normal part of growing up, but it’s definitely not something that anyone wants. Some teens choose to just live with their acne until they outgrow it, while others stress about getting rid of it or covering it up. Understanding the main causes of teenage acne can help you battle it more effectively because you will be able to get to the root of the problem and eliminate the actual source of the condition. Continue reading if you or someone you know suffers from teen acne and you want some helpful information that may steer you in the right direction towards finally curing your condition and having the clear skin that you desire. One of the reasons that some teens suffer from severe forms of acne while others do not is because of genetics. If your parents had acne while they were growing up, you probably will suffer from it as well. As you go through puberty, your body’s hormones begin to behave differently, and other bodily changes occur that can result in the formation of facial and body acne. Androgens, in particular, are partly to blame for teenage acne. Androgens are hormones that increase in both males and females once they reach puberty. As a result, the skin’s oil glands begin to grow larger. This, in turn, results in a higher amount of sebum produced on the skin. Sebum is oil that the body produces naturally. When this oil accumulates in pores, it can mix with dead skin cells, bacteria, and other debris and lead to the formation of acne. That is why a lot of acne remedies focus on inhibiting the oil production and keeping the surface of the skin as oil-free as possible in order to get rid of the acne. Utilizing the wrong makeup and skincare products can cause otherwise healthy skin to break out. Avoid all comedogenic,” which means they will not clog up your pores. Teens deal with a lot every day, both at school and at home. And some teens even have jobs that they have to go to and deal with. Therefore, it is no surprise that their stress levels are usually really high. Stress throws your hormones out of control, and this can lead to excess oil production on the skin, which leads to acne formation. Using relaxation techniques can help minimize the amount of stress your body deals with. There are a variety of reasons why teens suffer from acne. 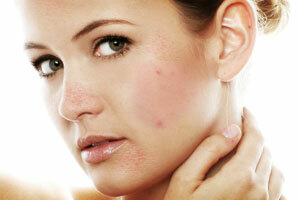 Knowing these causes can help you pinpoint the problem that is making your skin break out in pimples. This post has been authored by Kim Smith, a receptionist at Cosmetic Skin and Surgery Center, a clinic specializing in fat reduction procedures. She is a diligent employee and she enjoys reading her favourite novels when she gets free from work. Maintaining their youthful energy right into their 30s and 40s requires effort when women are in their 20s. No matter how big a tornado your life is, staying healthy should be your top priority. With these valuable health tips, you can keep fat from creeping on to you, stay healthy and look younger. Long term well being of women depends on how much they take care of themselves when they are vibrant in their 20s. Young women should develop a habit of exercise not only to develop a strong body but also to lower risk for disease and reduce stress. Engage in lively activities that you would enjoy doing- dance class, a kayaking trip, gym, yoga, jogging, swimming, or tai-chi. Start with the activity three or four times a week and ease into it. Staying active in your 20s will very much reflect when you grow older. For the majority of young women, weight has always been a big issue. Eating the right combination of foods by concentrating on whole foods including veggies, fruits and whole grains at this age is essential. Skip fried and fatty foods and always reach out for healthy nutritious food. Make sure you supply your body with essential nutrients such as potassium, proteins, omega-3 fats, calcium and Vitamin D. Not only will a healthy diet prevent those few pounds from gaining on to you but will also reduce chances of diseases. Screening tests are essential to keep an eye out for any diseases. Regular breast exams from health professionals every year along with monthly breast self-exams are important especially if you have a family history. During your annual gyno exam, get a pap test to avoid compromising on your fertility and health. Young women love tan and would go to any extent to have it. Tanning does more to you than cause skin cancer; it ages you prematurely and steals your skin of moisture and nutrients. Never leave the house without sunscreen. Eat a diet rich in antioxidants and drink lots of water to keep your body hydrated. See a dermatologist once a year for a full-body screening for any skin cancers. Insufficient sleep can leave you feeling tired and lethargic the whole day. Moreover, it can make you gain weight, lower your immune defences and experience stress and depression. With an 8-hour sleep, you can concentrate on your tasks throughout the day and feel fresh throughout the day. Improper meals can skip your body from receiving important nutrients. By taking a multi-vitamin daily, you can get a boost of essential vitamins and minerals. Even if you do not plan on having a baby anytime soon, iron and folic acid help prevent birth defects when you do conceive. Calcium and vitamin D in a good multivitamin will help keep your bones strong and healthy. There is a very old question that asks about what came first, the chicken or the egg. Ever since the question has been asked though, eggs have been one of the most consumed foods, and people often eat it for every meal of the day, not just breakfast. Eggs have a gotten a bad reputation because they are full of cholesterol, but the fact is that they can help with weight loss, and the reputation that eggs have is not justified. Eggs are very delicious, and people who are obese should consider eating them because of all the health benefits they provide. • A low cholesterol food: The egg yolk in eggs is often something that people do not eat because they fear that it is too high in cholesterol. However, these days, chickens are being fed special grain that allows them to produce eggs with a lot lower cholesterol content, which also includes the yellow yolk. Eggs are a lot healthier now then they have been in the past, and eating them is not going to mess up their weight loss efforts or affect their cholesterol numbers. • Eggs contain protein: In every movie that is about sports, the men who are playing them go into training, and the first thing they do is swallow glasses full of raw eggs. While the idea of raw eggs is rather unappetizing, the fact is that eggs do contain protein that helps professional athletes and bodybuilders gain muscle mass. Eating eggs is a fast way to build strong muscles, but they do not have to eat them raw, they can eat eggs in any way with the same results. • Eggs are a source of vitamin B12 and amino acids: The egg is considered the perfect food because they contain amino acids and also vitamin B12. No matter what age the person is that is eating eggs, the combination of the amino acids and vitamin B12 will help with muscle strength and also muscle growth. People with weak muscles need to eat eggs, and soon every muscle in their body will be thicker and stronger. Though people may ask about what came first, the chicken or the egg, no matter which one came first, the fact is that the world loves eggs and eats them on a regular basis. However, eggs have often gotten an unjustified reputation because of their cholesterol levels, but the fact is that they are an important food for weight loss. Eating eggs every day can mean a high level of protein, which is going to help people build muscle and turn their body from flabby to muscle. Three of the most popular of workouts for gym goers are Crossfit, Bodybuilding, and cardio training programs. All three training types have different end goals and this results in fairly different pros and cons. That said doing any of the above programs is a better option than sitting on your couch and watching the newest season of dancing with the stars. That said in this article we will try and break down the benefits and drawbacks of each training methodology so you can hopefully determine the right program for your goals. Crossfit has gained immense levels of popularity over the last few years. With some of the sports top athletes competing on ESPN and in other nationally televised events, its following has exploded since the mid-2000’s. Crossfit is a blend of intense cardio, weight training, Olympic lifting, and sports all rolled into one. “Crossfitters” like to say they may not win a power-lifting competition, have the muscle mass of a bodybuilder, or place in a marathon, however, they will be competitive in all fitness areas. 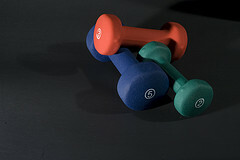 Bodybuilding tends to concentrate less on the user’s fitness level and more on the aesthetic appearance of the athlete. The main goal of bodybuilding is to sculpt the athlete’s body by adding muscle mass and reducing body fat. A cardio training program is what most people think of when working out. The majority of gym goers do cardio workout routines consisting of running on a treadmill, elliptical, or stationary bike. In the end, the best program for you is likely going to depend on your individual goals and your current level of fitness. Obviously jumping into an intense CrossFit program may be challenging for an absolute beginner while hitting the gym for an hour and running on the treadmill may be an easier way to ease into the workout lifestyle. If your main goal is to build a beach body and look good when you take your shirt off a bodybuilding focused program may be the best option for you. On the other hand, if you want a well-rounded physique and the physical fitness to match something like Crossfit may be the right formula for you. Last but not least if your main goal is to just lose some extra weight you have put on over the years while also helping your heart stop feeling like it’s going to explode when you have to walk up a few flights of stairs a cardio program will probably work wonders.